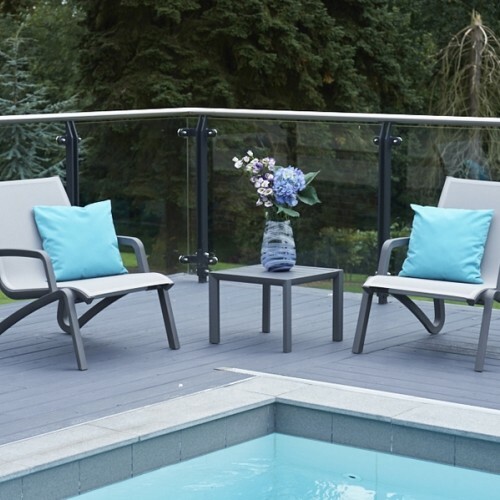 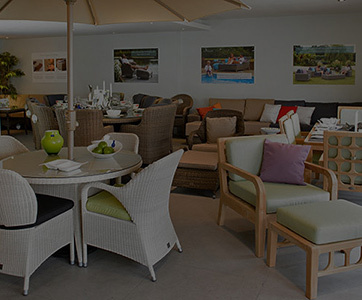 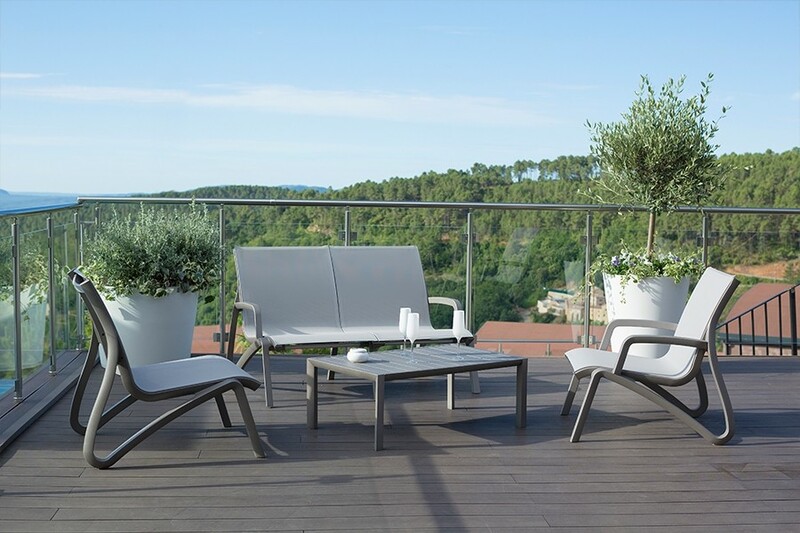 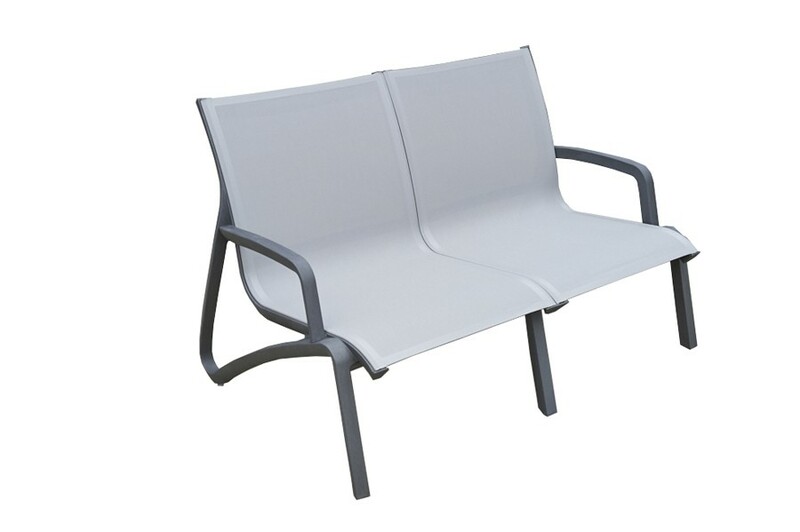 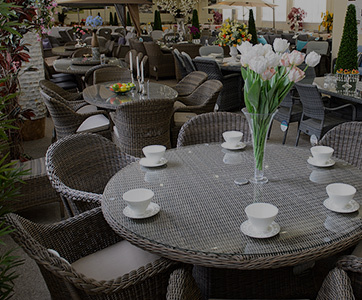 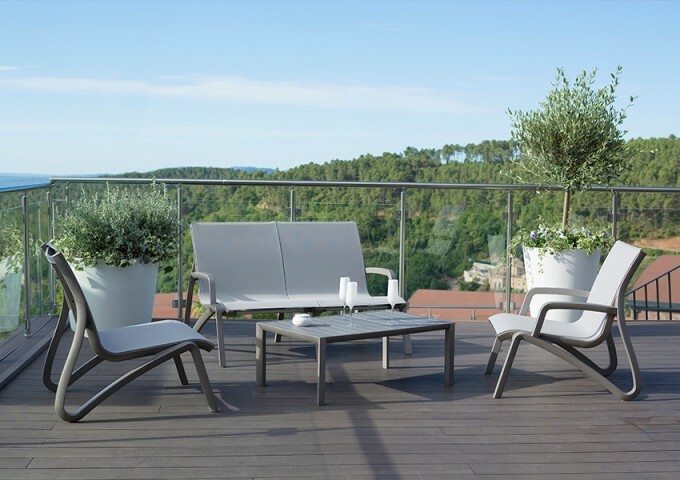 Offering premium durability without compromising on the style or quality Grosfillex is known for, this bespoke set is guaranteed to enhance and improve any outdoor space. 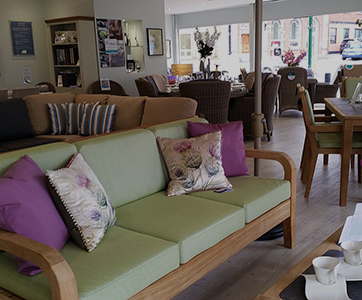 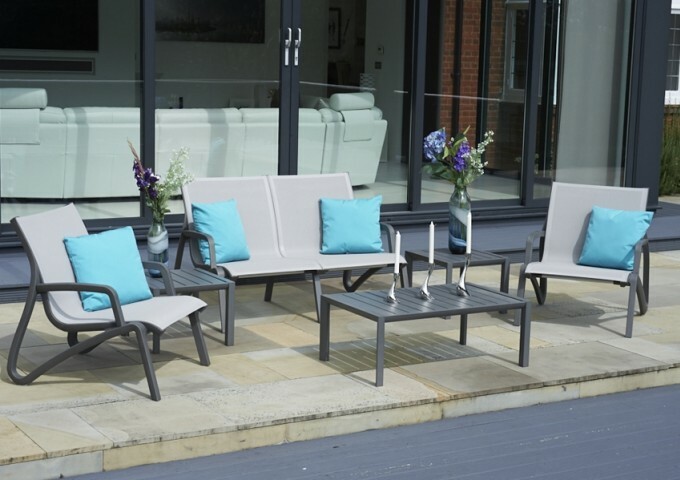 Featuring the Paris Two Seater Sofa, 2 Paris Lounge Armchairs and a 100cm Paris Coffee Table, this contemporary set offers ample space for up to 4 people to sit and relax. 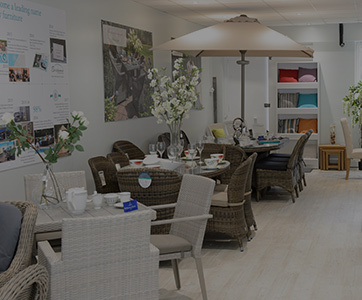 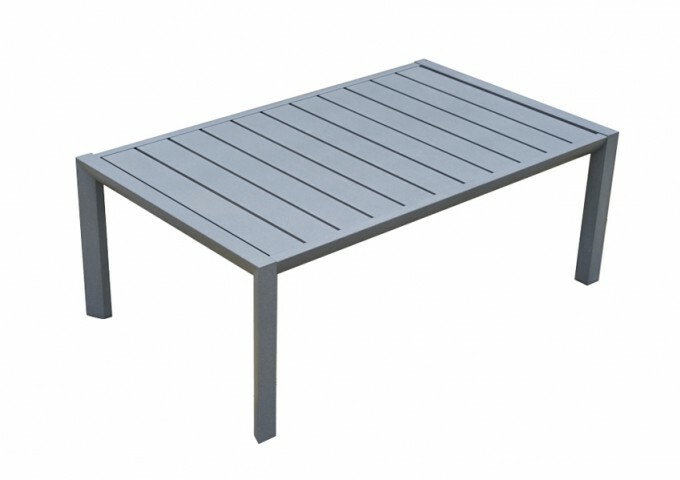 Two small side tables, shown in the picture, can be added as an option. 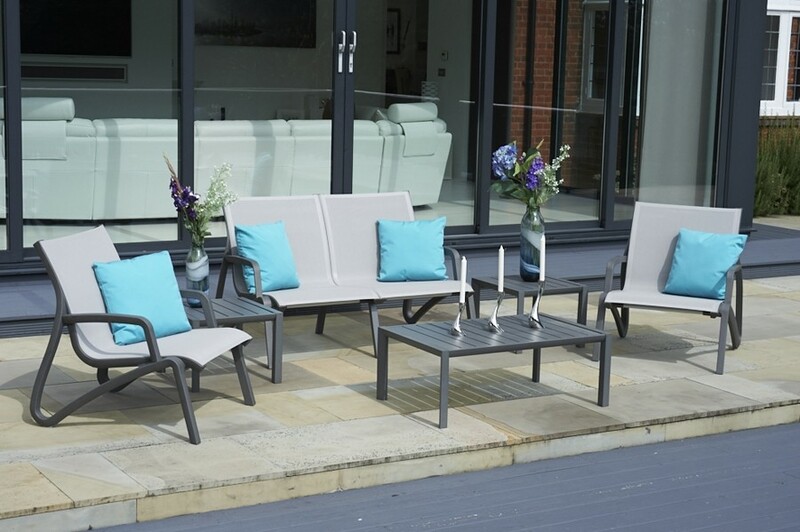 Also complete with an innovative aluminium composition within the coffee table and resin armchairs which offers premium comfort without the addition of cushions, minimal maintenance is required to keep this set looking good-as-new for a long time to come. 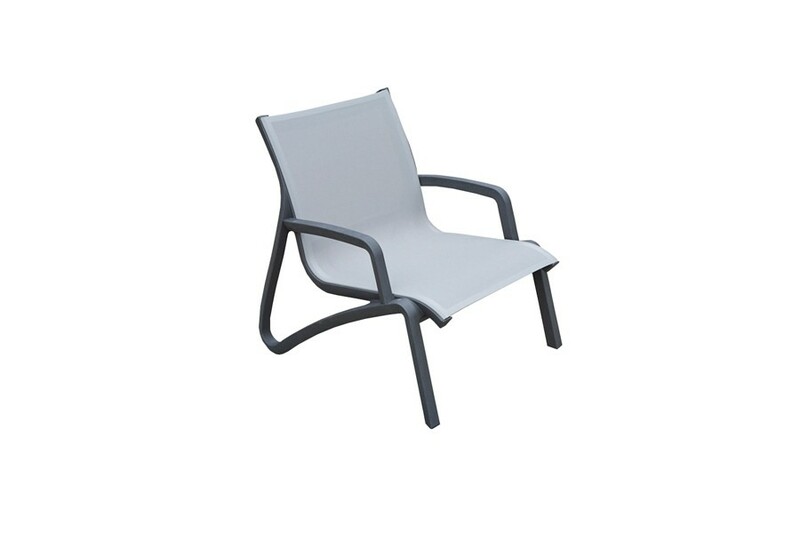 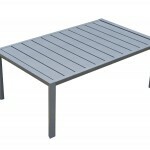 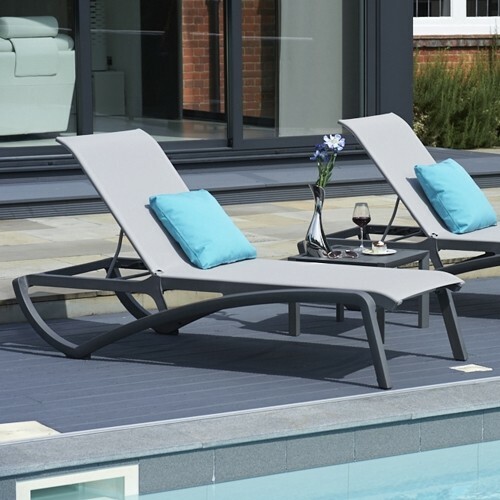 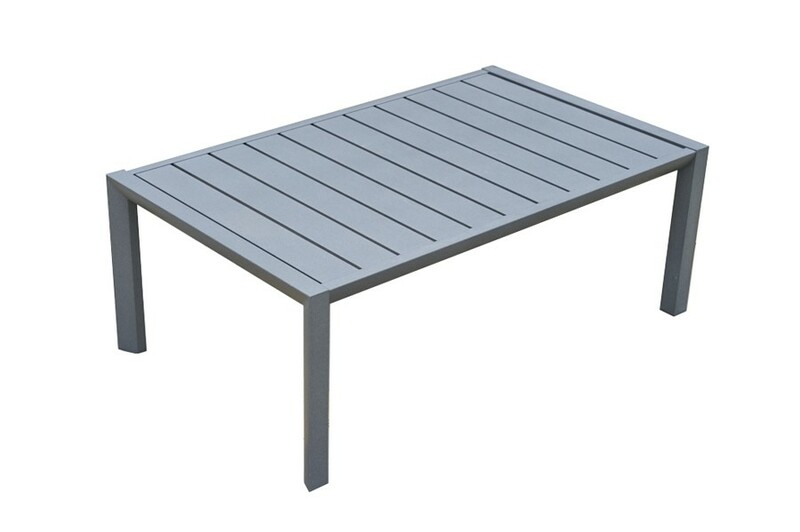 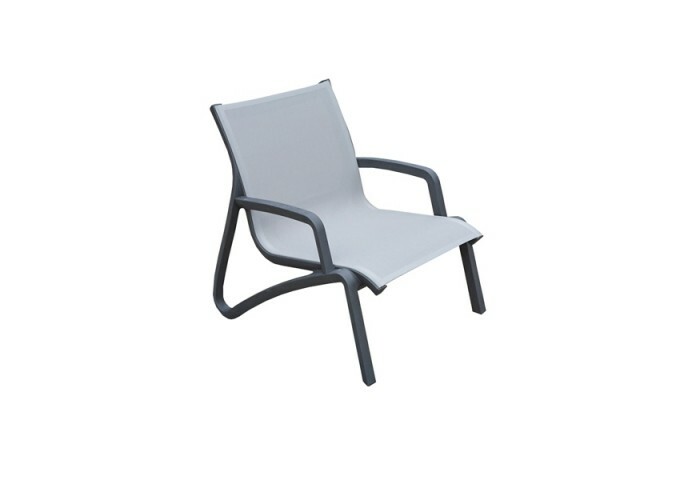 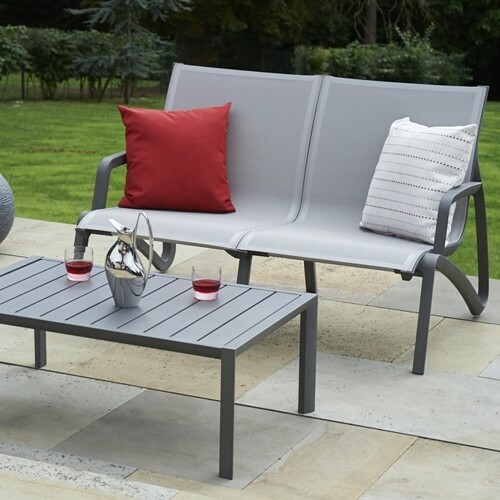 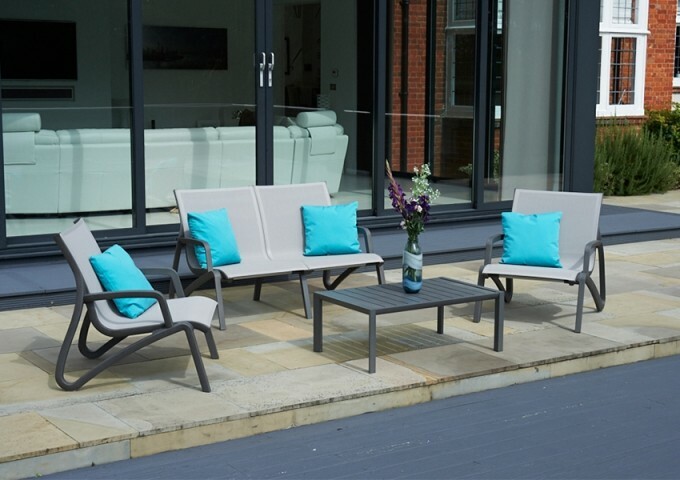 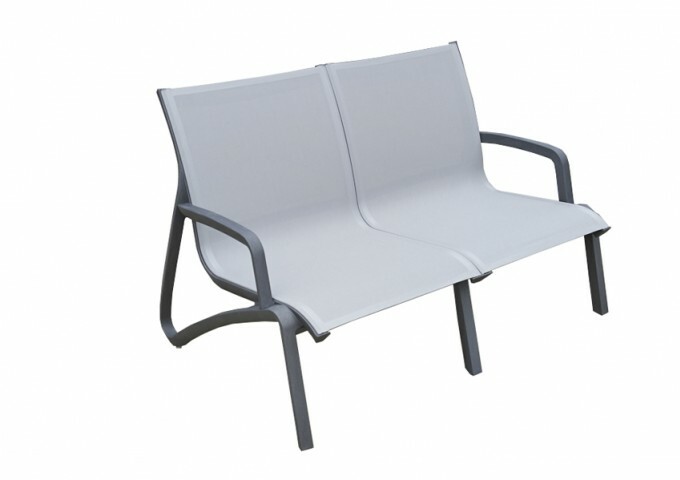 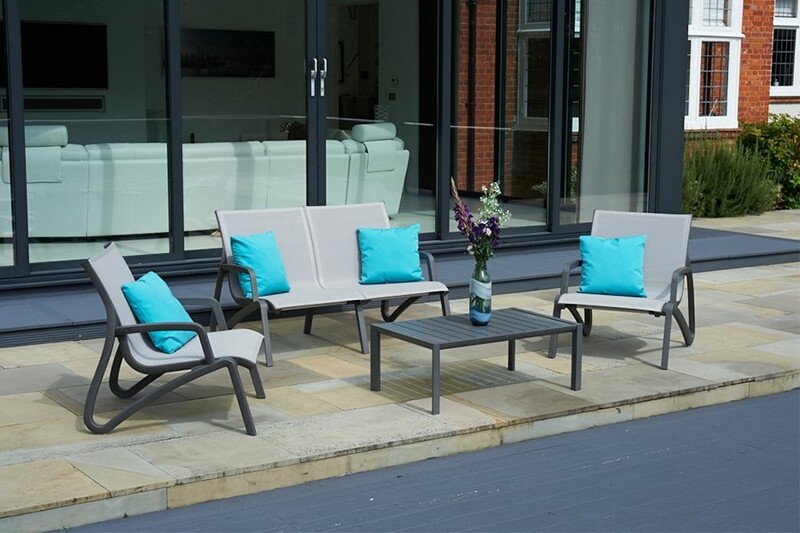 Available in a stylish shade of grey, this set is certain to suit almost any outdoor style you may currently have, in addition to offering impressively-high levels of durability and ease of cleaning. 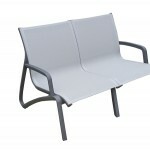 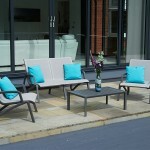 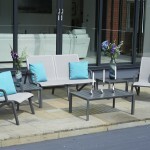 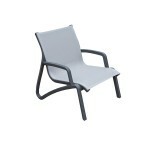 To really enhance this group, why not add optional waterproof scatter cushions. 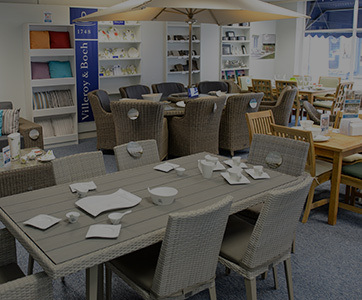 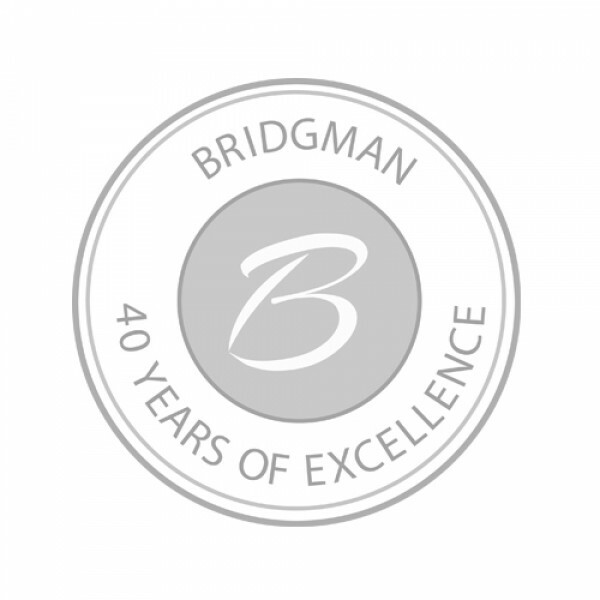 Order your Grosfillex set from Bridgman today as the furniture benefits from a 3-year guarantee.